Earn 50,000 bonus Avios after you spend $2,000 on purchases in the first 3 months of account opening. 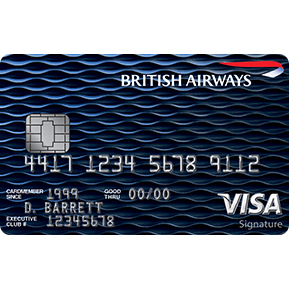 Plus earn an additional 25,000 bonus Avios when you spend $10,000 on purchases or 50,000 bonus Avios when you spend a total of $20,000 on purchases within your first year. 24.99%. This APR will vary with the market based on the Prime Rate. Either $10 or 5% of the amount of each transaction, whichever is greater. Up to $15 if the balance is less than $100; up to $27 if the balance is $100 to less than $250; up to $38 if the balance is $250 or more. 15.99%. This APR will vary with the market based on the Prime Rate. For e-mail, log on to your Chase online account. Locate your nearest branch here.